Ashish is a Master's student at Erik Jonsson School of Engineering & Computer Science at the University of Texas at Dallas. His interests include, but aren't limited to, Networks, Network Security, Fog Computing, Software Defined Networking, and Internet of Things. He obtained his B.S. degree in Information Science from PES Institute of Technology, Bangalore in 2017. 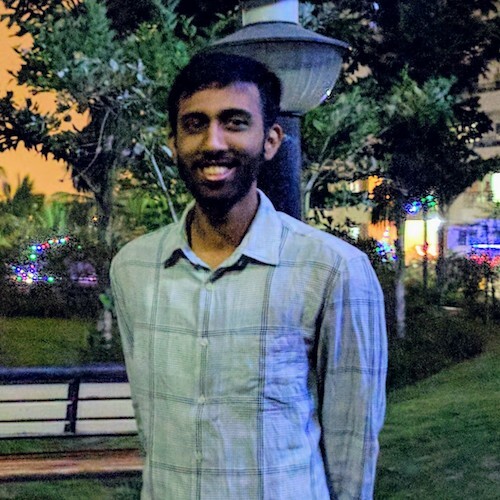 He interned at Smartron, Bangalore in the summer of 2016. Ashish worked on various topics related to Fog Computing in the ANRL, under the supervision of Ashkan Yousefpour. He helped to run the Cloud/Fog/IoT testbed, and obtained and analyzed real-world network traffic traces. He co-authored a paper with Ashkan Yousefpour.